This is a 1970’s vintage stainless steel 38mm. 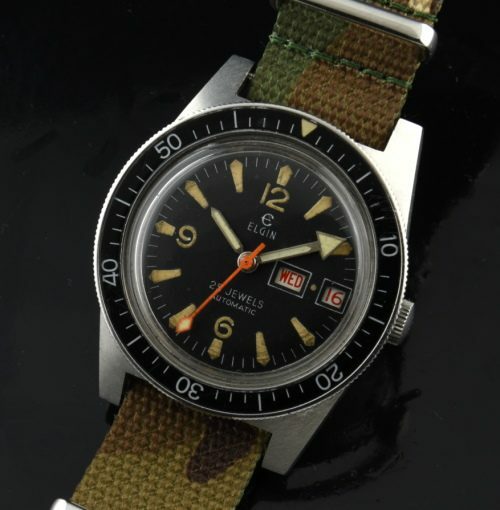 ELGIN dive watch with original (great looking) dial and hand set. I love the aging in the turning bezel, Explorer style dial and arrow hand. The automatic winding movement was recently cleaned and is accurate. This is a very cool looking vintage watch!